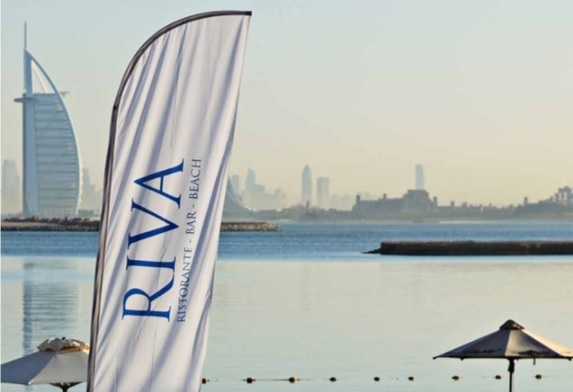 The Palm Jumeirah’s Riva Beach Club – the first independent club to operate on The Palm – has opened to the public after undergoing months of upgrades. All facilities and water sports are back in operation and the full stretch of beach is open to the public, according to management. The Riva Beach Club is located between Buildings 7 and 8 of The Shoreline, Palm Jumeirah. It became one of the city’s most popular destinations after it launched as an independent beach club in Dubai five years ago. The club ran into controversy late last year after residents of The Shoreline were suddenly prevented from using the facilities, including the beach, because of a commercial dispute between IFA Hotels and Resorts, which owns the club, and Nakheel, developer of the luxury waterfront apartments. Residents now have full access to the beach facilities and have been offered special food and beverage discounts. The relaunched club offers a private beachfront 300 metres wide, a climate-controlled pool, an indoor Mediterranean restaurant and fully-licensed al fresco bar. It has added a new Ripe Organic Supermarket, the only one of its kind in Dubai, and will soon be joined by a second Palm Jumeirah branch of the nail salon NBAR and a Bliss florist. Daily, weekly and annual passes are available. The club’s adult membership costs Dh100 per weekday or Dh190 per weekend. A five-day adult pass is Dh400 and Dh700 for seven days. Annual membership costs Dh6,750 for a single adult; Dh11,000 for couples and Dh15,000 for a family. Membership includes access to all the club facilities, including unlimited access to the beach and pool, full use of the gym facilities during open hours, towel service and showers and a 10 percent discount on all food and beverage purchases at Riva.